The St. Croix Sling Chaise Lounge proves that pretty and hard-wearing aren’t exclusive; this attractive chaise is also tough and resilient. The St. Croix, with its delicate lines and nimble curves, is also crafted of rust and weather resistant aluminum. It has a durable powder-coat finish, and the sling seat is double-stitched for long-term use. 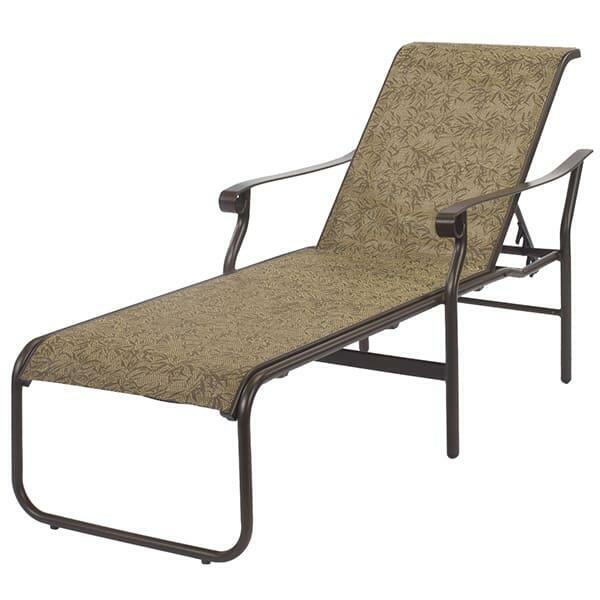 Windward’s excellent 15 year warranty attests to the hardiness of this attractive chaise that will light up your backyard, whether its poolside or on your patio. Customize in your choice of frame and fabrics.